Leaders in Child Safety and Fingerprint Identification Products for Law Enforcement Across the USA for Over 20 Years! 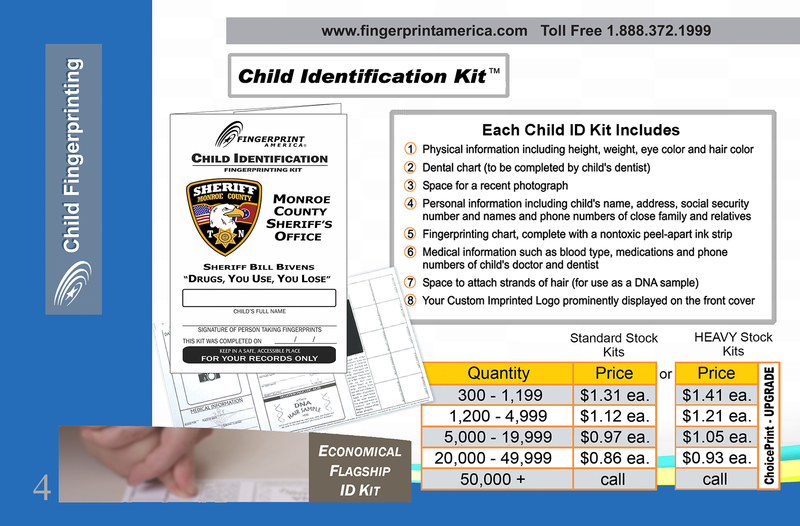 Fingerprint America has been creating award-winning Child Identification Kits and Safety Products now for over 20 years! 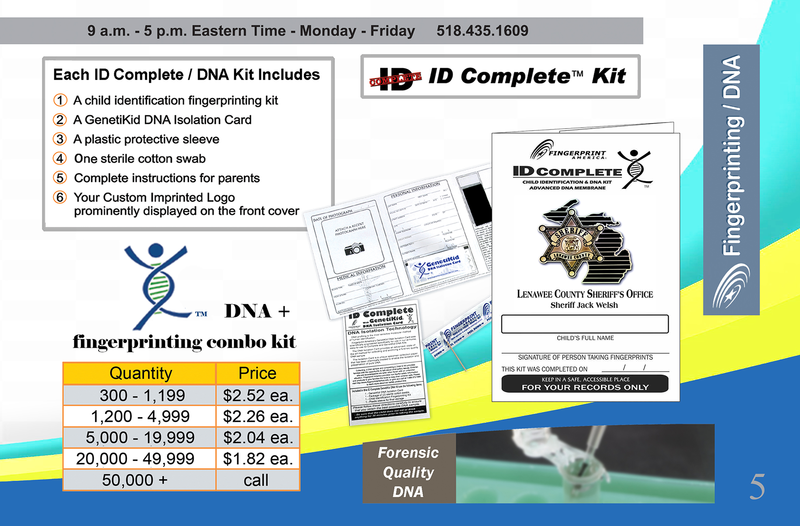 Originally our fingerprinting ID kit was created with help in part from a specialist at the New York State Division of Criminal Justice, Dr. Michael Baden. 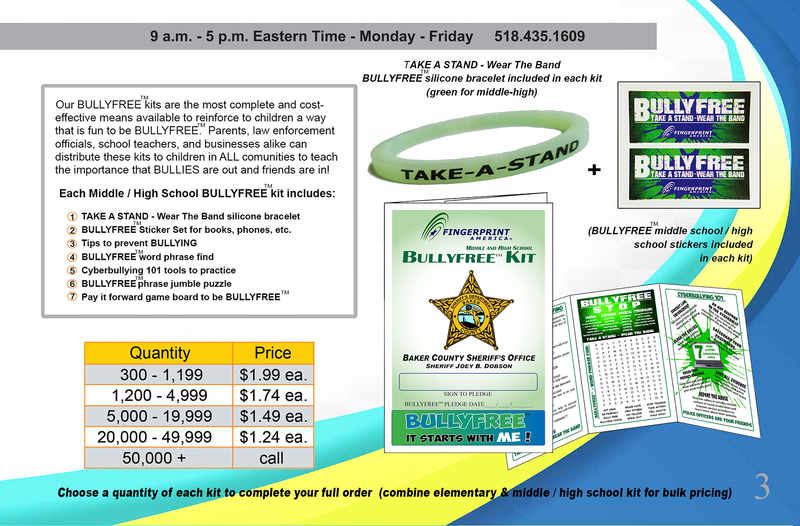 Since the late 90’s we have produced these ID kits for thousands of law enforcement agencies, civic organizations, and companies across the United States to use in their programs at schools, fairs and other events. 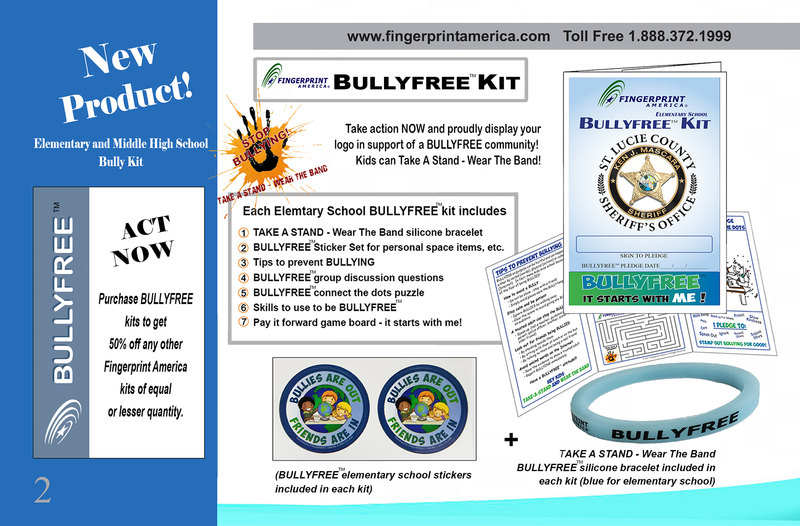 The BULLYFREE Kit, the Child ID kit, and all of the safety kits we offer are virtually the most cost-effective, compact, and comprehensive products used to promote child safety and BULLYFREE communities in the U.S. All of our kits are light weight and easy to use and distribute to parents in your community. 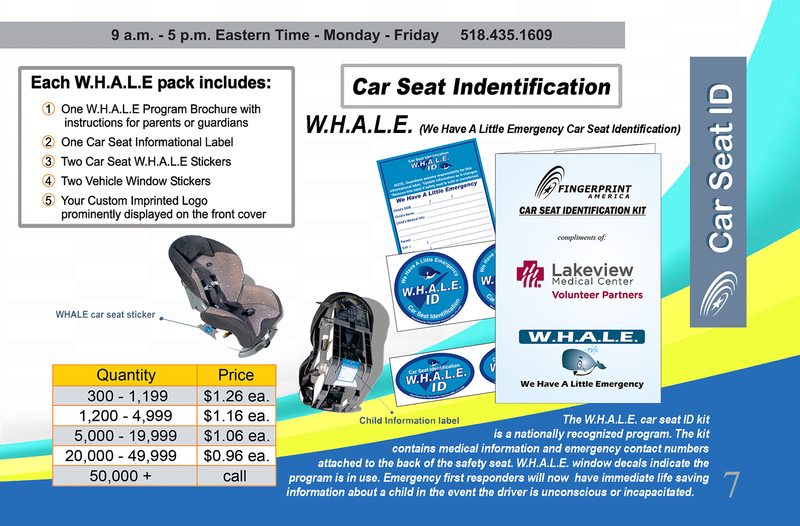 We are the original providers of customized Child Safety kits. We can help. Our customized Child Identification Kits and Safety Products are approved by law enforcement, and used by Law Enforcement, Corporations, Civic Organizations, Schools and by parents nationwide! We can custom imprint your name and logo on any of our safety products, or even create private label products to your specifications! Want to keep it simple? Our stock products are always available for immediate delivery to accommodate your events. "This product makes me feel more conscious of the dangers and thus more proactive in avoiding and/or responding to situations. A false sense of security is worse than no security. You cannot underestimate the impact that considering the safety of your child can have on you and your family. You may not be able to prevent injury or danger, but acknowledging that dangers and injury could happen and taking steps to prepare yourself and your family with these products will put you in a better mind set to handle any event that should occur." "Better to be as prepared as possible than to say... I wish I would have." "Used as a promo in a small school system. These ID Kits can save lives and protect your children at a time when they may need you the most. As a parent it is a sobering thought that you would need to even have to present this type of document to anyone." "I think that it should be the obligation of every parent to prepare themselves for the unthinkable. I'm sure that those parents who have been affected by an incident would relate that they never thought something like this could ever happen to them. At least if you prepare an ID kit as a precautionary measure, you will expedite the search process in the event of a lost child or abduction. 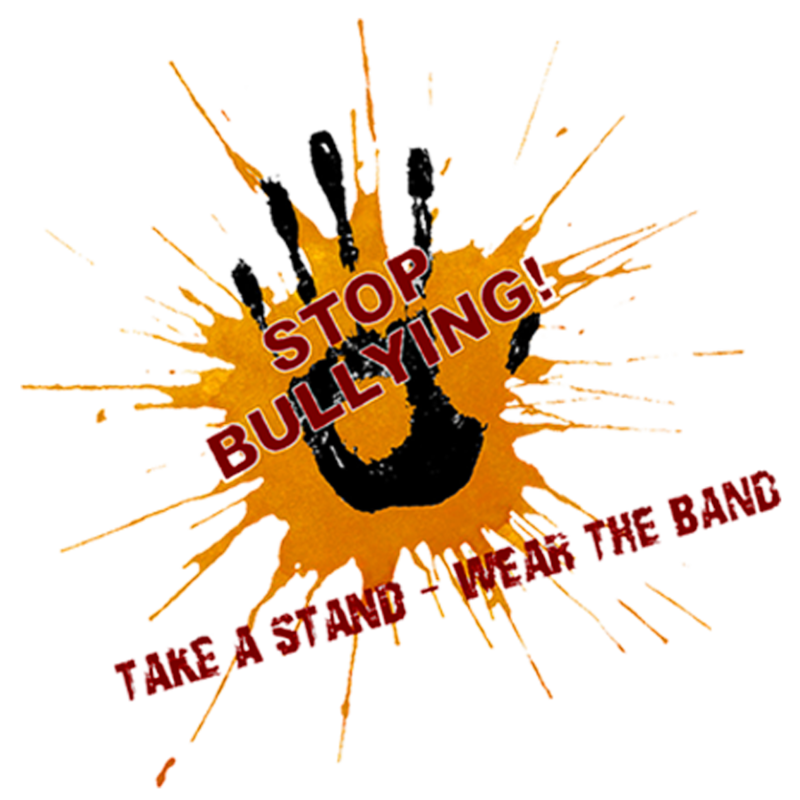 It is the least we can do as parents in this day and age. The cost of Fingerprint America's Child ID kits is small in comparison to the consequences if you don't have one should you need it." "Your product has given me some peace of mind that in the event of an incident, I am fully prepared to provide potentially life-saving and certainly time saving material to the authorities. I think every parent should be prepared in this fashion, especially since it costs very little to prepare an ID kit(s)." "The product was very easy to understand, very thorough and inclusive in its content, and took very little time to complete. 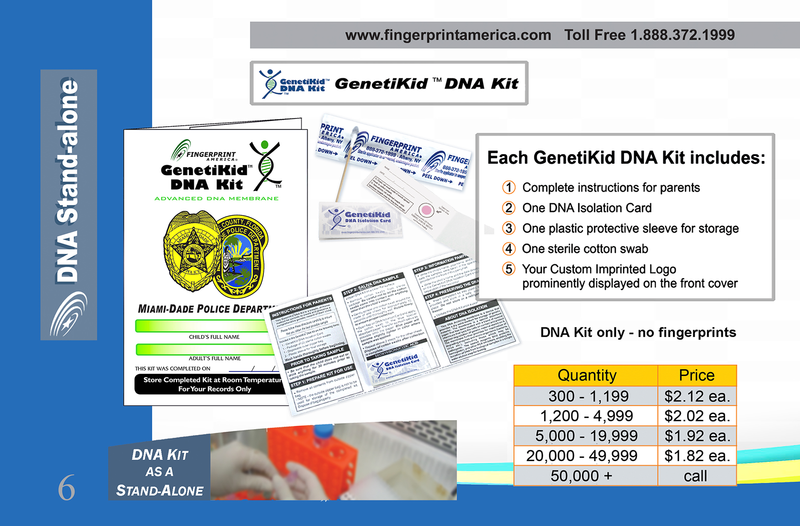 I chose Fingerprint America's Child ID Kits because of their attention to detail and the contents of the kits. It is also very easy to update with new pictures, etc." "I do feel more in control and at ease knowing that I am prepared and won't have to scramble around in a less than clear state of mind in the event of an incident." "The company I work for provides security systems for homeowners. We felt it was important to teach our customers that a security system is only an added layer to the many things that should be done to protect the family. If you truly believe that you do all you can for your children, then you know you have to fingerprint them." Don't wait till you need it to do something about it. Get the kit, discuss it and what it does and that will hopefully prevent things in the future. The kits are easy to use and understand and explain to the kids." "Be prepared. It seems like such a helpless situation to be in when a child goes missing. Having the ID kit ready and prepared would make me feel like I have done something to help with the search." "Just do it and realize that you will most probably never need it, but if you do, you have it. The kit was simple and took no time at all to complete."